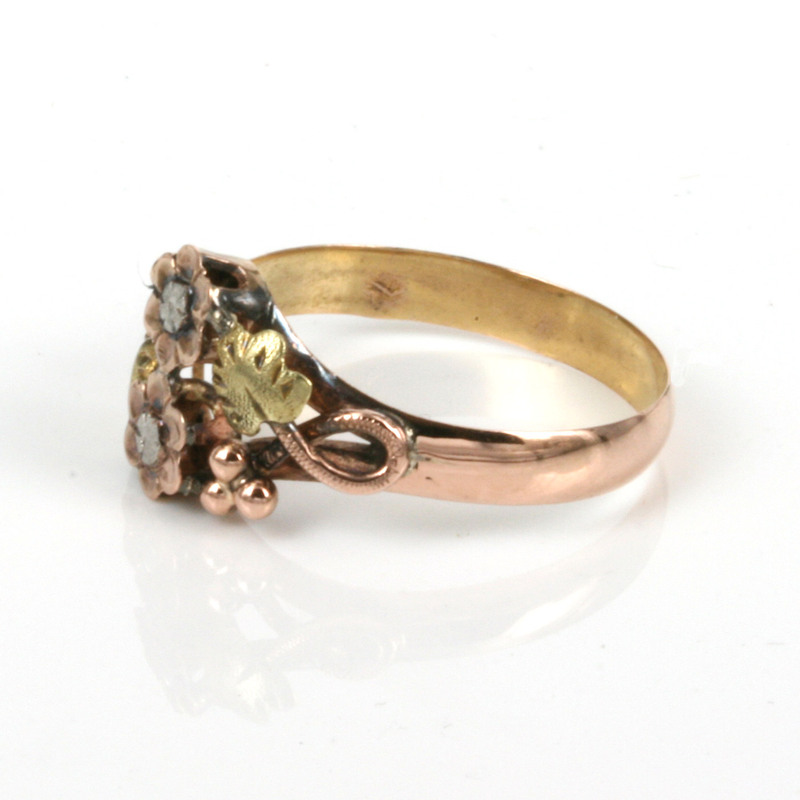 Art Nouveau ring made in France in the 1890’s. Product code: ES3258 Categories: Sold Items, Sold Rings. The French have always known how to create stunning designs in jewellery and the Art Nouveau period of the late 1800’s to early 1900’s resulted in some fantastic jewellery designs such as this very attractive multi-coloured Art Nouveau ring. Made in France around 1895, this ring has all the characteristics of the Art Nouveau period of free flowing designs inspired by nature as can easily be seen here in this ring. The ring is made in 18ct rose gold with the leaf designs in green gold which was only seen in jewellery around this period and gives this ring even more charm and character. The vine tendrils gives this ring such an amazing look to it and the petals are set with silver in the centre. At its widest part the ring measures 10.4mm wide and sits so well on the finger and will be always be admired and commented on.